We have 1%, 2%, and Whole Milk Freshly homogenized here at our store. 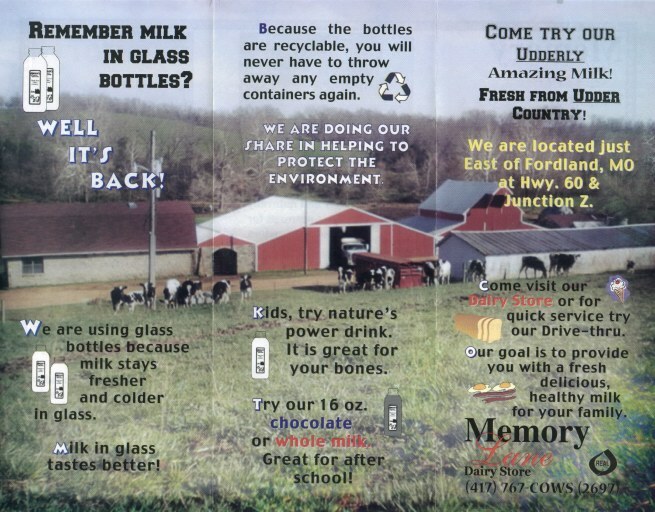 We also have Chocolate Milk and Pasteurized Whole Milk. We offer an assortment of Quality Cheeses and other products at our Fordland "Memory Lane Dairy Store".